In today’s blog post, we are going to discuss financial reasons why you should buy instead of rent. We understand that buying a home is a major step. If you are serious about your finances, though, it is time to stop renting and start buying! As a renter, you are helping someone else pay their mortgage and not receiving any of the financial benefit from it. Why make someone else money when you can invest in yourself and your future?! 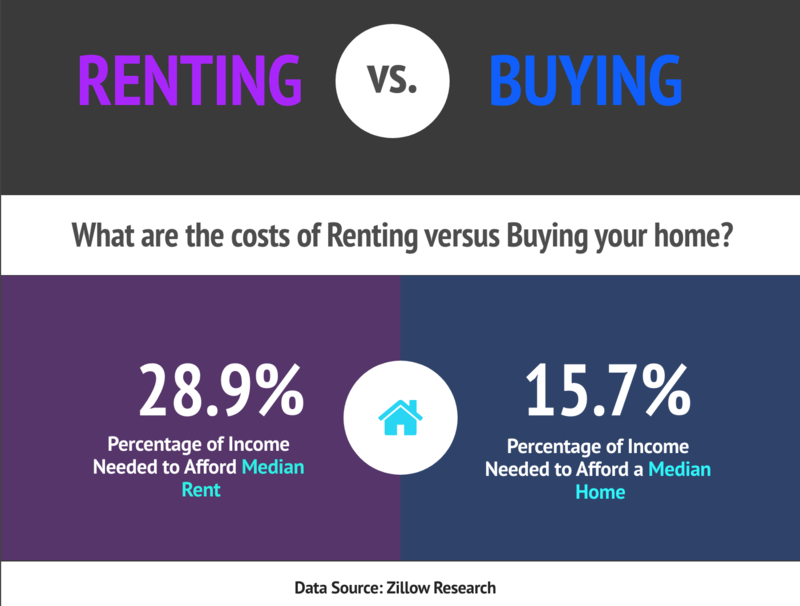 Check out the facts regarding renting versus buying costs and get ready to purchase your dream Mason City IA this spring! 2. Locked in monthly cost for housing. 3. Investment you utilize daily. Need some stone cold facts? Research from the Federal Reserve shows that a homeowner’s net worth is 44 times greater than a renter. In addition, according to Pulsenomics, home values are expected to appreciate by 3.35% per year and grow by 24.34% cumulatively over the next five years. This means that homeowners are gaining equity from the moment they purchase their home this year! We hope this blog gave you a some helpful insights into why you should BUY instead of rent! If you are ready to take the plunge and buy your first home, work with the Top Realtor Mason City IA! We can help you find the perfect property to fit your needs within the North Iowa Homes for Sale! Give our experienced Team a call today at 641-425-4900 or visit our website at http://www.janefischer.com/.